Through a microcontroller, we can able to make robot run on specified path without human interference. 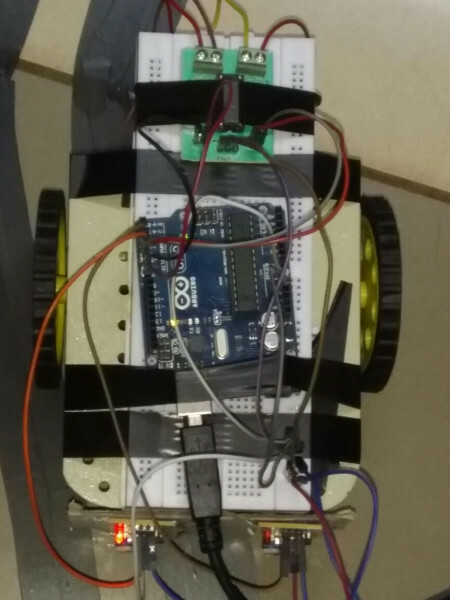 An RC robot which follows a specified path. A microcontroller device which operates on certain program encoded in it. It follows black lines through sensors attached to its front side. In addition motors, battery, a motor driver jumper wires were used in making.